If you like cooking, or reading, or cookbooks, or if you just like reading about cookbooks, this post is designed for you. 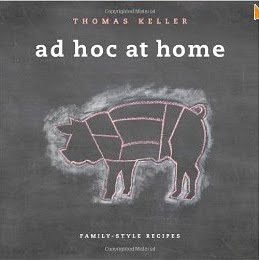 Round about early December I started seeing, and reading, year-end lists of best cookbook. I saved the links and now I have a sizeable collection from various sources. Most are lists of books actually published in 2010. There are books that appear on nearly all of the lists, and there are some that show up only once. But each book has a reason for being listed, and it makes for fascinating reading, and wonderful gift-planning, to sort through them. I've arranged the links thus: the first group contains lists from familiar media sources, such as major newspapers and food magazines; the second group has lists from food writers and bloggers. Next I've singled out a few notable cookbook review projects that are a bit out of the ordinary, and finally I've provided my own list of the books, some new and some older, that were most useful in my kitchen this year. There are enough links here to provide you with material to while away long winter hours - and that's without even ordering anything! You'll also find suggestions to help with your Christmas gift-giving, and truth be told, gift-receiving. After sifting through these lists, I now have a steady stream of USPS carriers and UPS trucks bringing packages to my doorstep. Many of my intended gift recipients happen to be readers of this blog, now they can expect cookbook gifts! And I am confident that there will be *ahem* a cookbook or three under the tree for me on Christmas morning. Whether you choose to purchase at your local independent bookseller, or order from Amazon up until the very last possible moment, if you love to cook from cookbooks it's a safe bet that you will find something fabulous somewhere in this post. I apologize for the formatting glitches in this post. Try as I might, and I actually tried to decipher the html, I couldn't get rid of some inconsistencies. In order to generate a more accurate list of best cookbooks of the year, the Huffington Post Food editors first looked at a bunch of other lists. 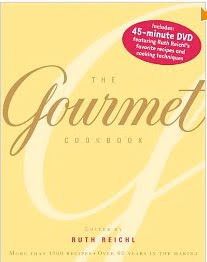 Only those cookbooks that had been listed on several other lists made the final cut: http://huff.to/guMTUV . The 2010 Tournament of Cookbooks, aka The Piglet, is a project of the fabulous site Food 52. Sixteen top cookbooks published in 2010 were placed in brackets, and an impressive array of food-world judges rendered verdicts on each matchup. The tournament is now complete, with a final winner declared, but you can explore all of the action by checking out the links in the right hand column on the tournament page. I found this to be wildly entertaining, and promptly lost half of a morning to reading this year's match-ups. When I realized that the 2009 Tournament was also accessible online, I lost the other half. Mark Bittman, How to Cook Everything - This book may not have absolutely everything in the world, but it certainly has everything I'm likely to cook and a good bit that I'm not. It's clear, it's comprehensive, and it's good. 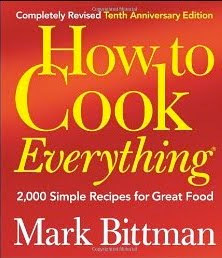 When I want to research an ingredient or a method of cooking, I'll reach for Bittman or my old Joy of Cooking. 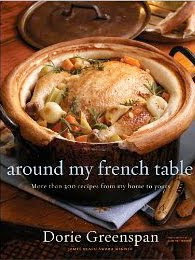 Dorie Greenspan, Around My French Table - As a devoted fan of Greenspan's previous book, Baking: From My Home to Yours, it was pretty much a foregone conclusion that I'd buy this 2010 book. Greenspan branches out into savory food in her newest work, and she brings to it her trademark clarity and charm. Recipes I've enjoyed include the kuri squash soup and the fish en papillote. Oh, and I've made the sweet and spicy cocktail nuts three times already. 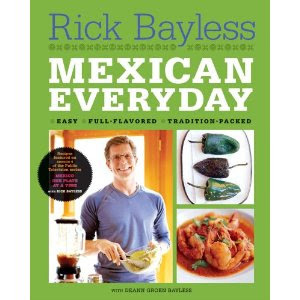 Rick Bayless, Mexican Every Day - Last year I was lucky enough to eat at Bayless' restaurant Topolobampo in Chicago, and at the end of the meal I purchased this book. For the most part the recipes are quite quick but the techniques and flavor combinations are far beyond the average Mexican-inspired recipes. Bayless' avocado and mango salad has become a standby in my kitchen, and I've loved several of the fish dishes as well. Ruth Reichl, The Gourmet Cookbook - If you're feeling nostalgic for Gourmet magazine, this book might be the most comforting place to turn. You can most likely find all of your old favorite recipes between the yellow covers of this cookbook, and discover new favorites too. Since I started cooking my collard greens and kale Brazilian style, I've not prepared them any other way. And the chili is just about the best I've ever tasted. 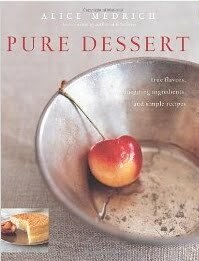 Alice Medrich, Pure Dessert - For my birthday last year I went to the bookstore to purchase a specific cookbook, but this book caught my eye and I came home with it instead. The book is organized by flavors (milk, nuts, fruit, etc.) rather than type of dessert (cake, cookie, tart, etc.) The recipes are unusual but not weird. I've made the lemon bars, Italian chocolate torte, and chocolate wafers. 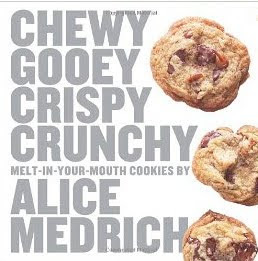 I just bought Medrich's new cookie book, Chewy Gooey Crispy Crunchy, and I anticipate that I will love it also. I've tasted five of the cookies, baked by Medrich herself at a baking class. I enjoyed all of them, especially the ginger cookies, which are extraordinary, and which I immediately baked in my own kitchen. Davis Lebovitz, Ready for Dessert - For this 2010 book David Lebovitz completely reworked and updated all of his favorite recipes for sweets. The result is a large book completely packed with beautifully-photographed temptingly-presented desserts. Although Lebovitz is known for his chocolate creations, non-chocolate selections make up significantly more than half of the recipes. The fresh ginger cake is beyond wonderful, and the chocolate racines cake was also delicious. 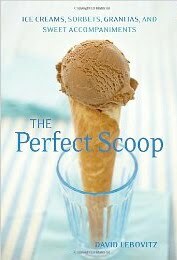 Lebovitz's previous book, The Perfect Scoop, is now available in paperback. It is a comprehensive collection of frozen confections, from the basic - but perfect - vanilla ice cream to more unusual flavors such as black pepper ice cream. 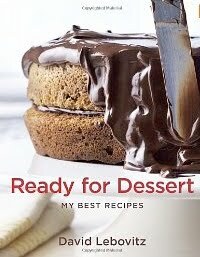 I make ice cream at least once a week and this book is almost always on my counter. Nick Malgieri, The Modern Baker - What initially drew me to this book is that it has a savory pies and tarts section, tucked in there among the cakes and specialty yeast breads and cookies. 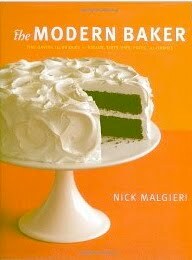 But I baked other things, including the yellow cake, the blackberry jam cake before making the delicious walnut, scallion and gruyere tart, and what I love about the book is that Malgieri streamlines the baking process for each baked good, so the preparation is simpler, and more elegant. 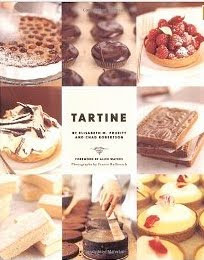 Elisabeth Prueitt and Chad Robertson, Tartine - This book is stylish and the recipes I've tried have been impeccable. I've especially loved the almond breakfast cake and the soft gingerbread cookies. Based on my success with this book, I'd be excited about the new-in-2010 Tartine Bread. Dan Lepard, The Art of Handmade Bread - Dan Lepard, a baker from England, has devised a revolutionary method of preparing bread dough, and his breads have totally revolutionized my life. The only reason that this book is not constantly open is that I have memorized the recipe for his Simple Milk Loaf; it's simple and simply the best toasting bread I've ever had. 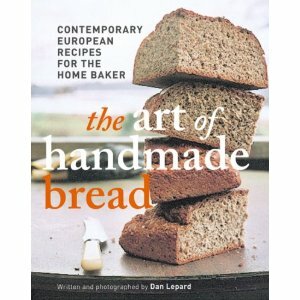 There are other brilliant bread recipes, but the Milk Loaf is worth the (very low) price of the paperback book. Peter Reinhart, The Bread Baker's Apprentice - I've been - very slowly - baking my way through this book; I've now passed the halfway mark and can truthfully say that there's not been a bad recipe to date. The book is worth owning for the bagels alone - making those homemade with his recipe is truly life-changing. Reinhart's Whole Grain Breads is similarly terrific, but I didn't use it much in 2010, as I was busy with the BBA recipes. 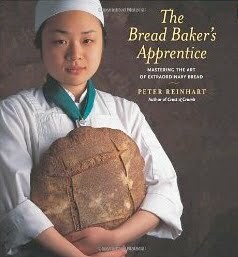 I also have Reinhart's newer book, Artisan Breads Every Day, but haven't baked from it yet. I loved this post and can't wait to wade through and read all the lists. Thank you :). I am glad I am not the only one with post-it notes all over her cookbooks! What a great round-up, Nancy. It is amazing to me (who has only embraced cooking/baking these past few years) how many of these book I actually own and have enjoyed cooking/baking from...and most of them, with you! Lots of good times...thanks so much for always encouraging the hesitant in me, always saying, "Oh, sure you can do this!" and always being willing to cook or bake at a moment's notice to keep me company! Great post. What are we making next? What an awesome post! I've bookmarked it already, and will be going through some of the links in more detail later. Thanks for sharing! Wonderful! I love how comprehensive the compilation is. URL so I can read it more thoroughly. ALL of these look fantastic. Hubs gives me cookbooks knowing I may not cook from them but I will read them from cover to cover. There is always a happy ending in these books!!! Am looking forward to using ad hoc now that it is here (albeit still in the box). My collection has grown a lot since baking/cooking with you and the other Tweeters/bakers/cooks. Thanks for the great list! I totally agree about the BBA's bagels and AMFT's spicy nuts!! Fantastic recipes. 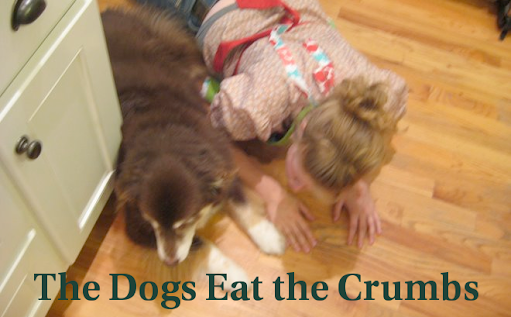 Thanks for the other cookbook ideas too! I will definitely check some out. OMG! I am so excited about this post. I have a very dangerous and expensive habit of buying WAY too many cookbooks. Not that I need anymore...but I can't wait to read through this carefully and make a new list of books I must own! I've been seeing these lists everywhere too Nancy - it was so smart of you to organize them and put them in a single post so they're easily accessible in the future. After I see which cookbooks I receive for Christmas I might make a small (gift to myself) order for any I still really want :) I can't wait to see which ones you picked out for yourself! Great article - thank you! I've only read a few of them & am looking forward to checking out the rest that you recommend. I, too, have made the sweet and spicy cocktail nuts several times already :). I just receive the Tartine book for my birthday!